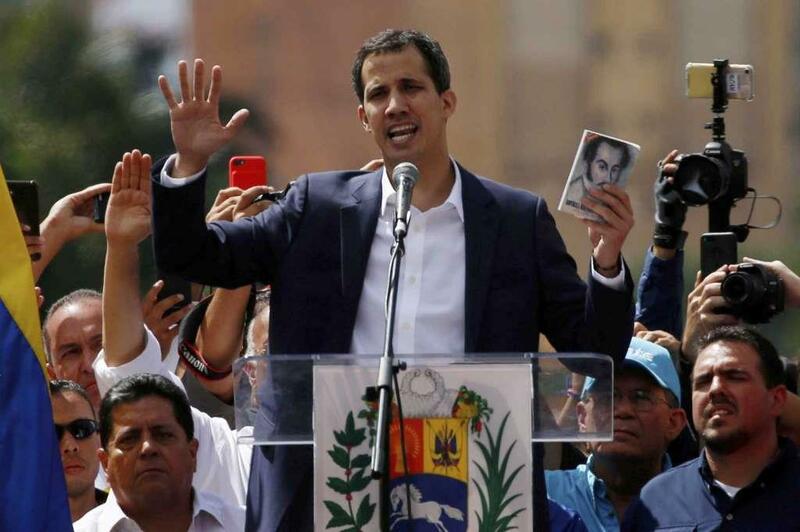 CARACAS, Jan. 29 (Xinhua) -- Venezuela's Supreme Court of Justice (TSJ) barred opposition leader Juan Guaido who self-proclaimed himself interim president from leaving the country and froze his financial assets Tuesday. The TSJ's order came hours after Attorney General Tarek William Saab announced he requested the high court apply precautionary measures against Guaido. "We are requesting the TSJ the application of the following precautionary measures prohibiting departure from the country, of selling and mortgaging real and personal property and freezing bank accounts," the attorney general said. Saab explained that the request to the TSJ is in line with a preliminary investigation opened against Guaido "in response to violent events that were incited in the country beginning on Jan. 22."